I was so excited to see the So Much Pun Cut Files! This has to be one of the cutest, most versatile collections I've ever seen... so many fun icons, it was hard to narrow my selections to just a few for this post! 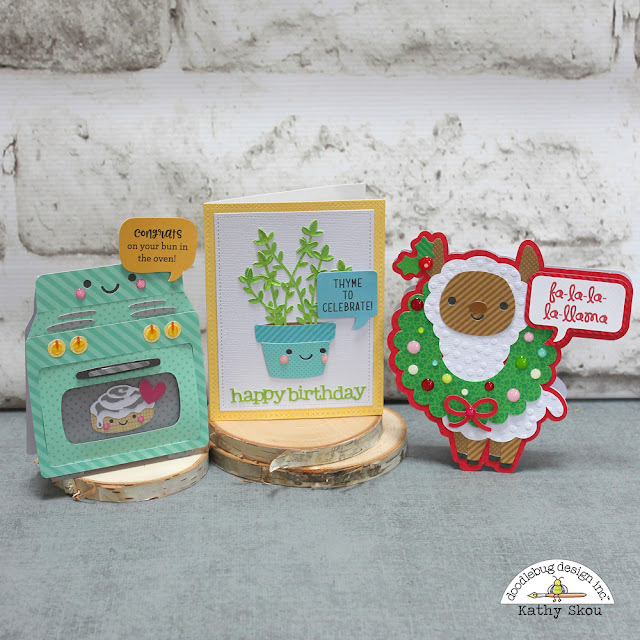 I did however and here are a few cards I created using this ADORABLE collection! 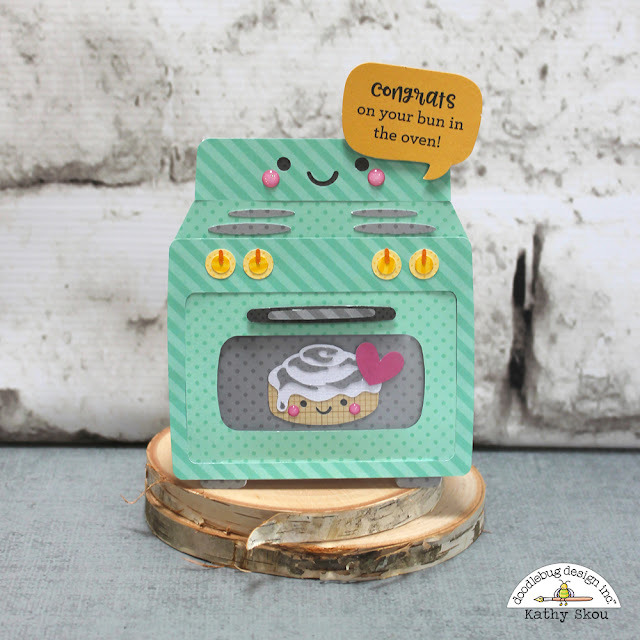 For finishing touches I added one of the Chit Chat Pieces for my sentiment and some Cupcake Glitter Sprinkles for the cheeks! 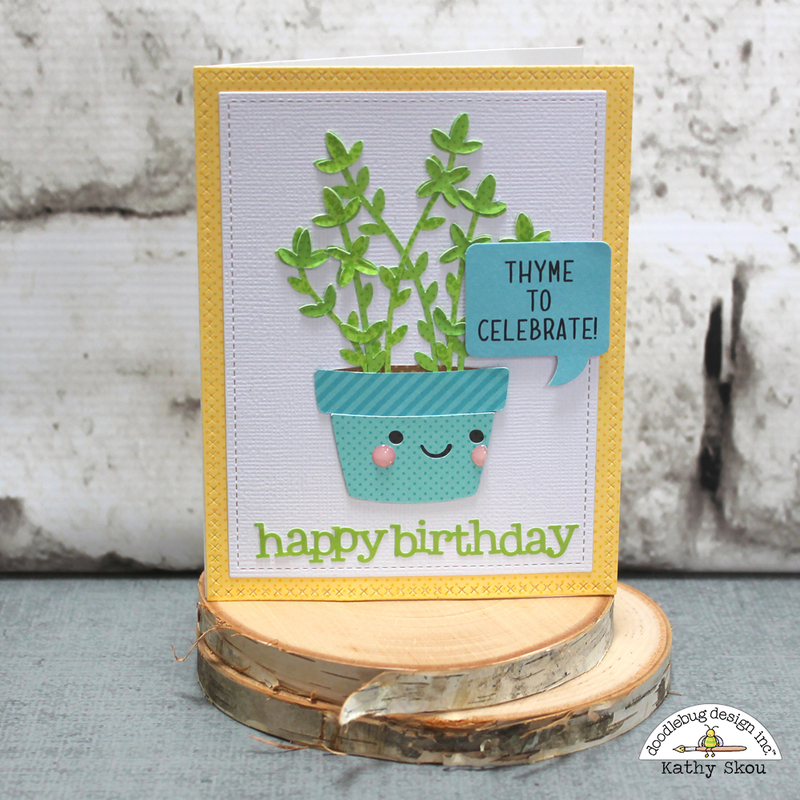 My next card uses the Thyme plant from the So Much Plant 1 cut file and more Dot Stripe and Floral Graph Petite Prints from the 6x6 pads. I added some extra leaves to the plant to give it some dimension and the Thyme to Celebrate sentiment is from the Chit Chat Pieces. 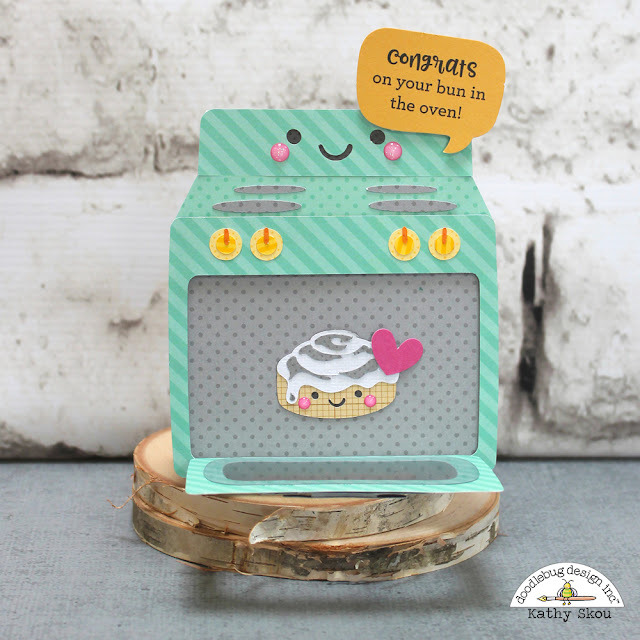 The Happy Birthday sticker is from the Multicolor Happy Birthday Doodles Cardstock Stickers. First of all... how stinking cute is that llama cut file?? I used an embossing folder from Sizzix to give him a more fluffy look and added the wreath from the Milk and Cookies Window Wreath cut file. I created the printed sentiment using one of the Bubble Sayings Bubbles from the Booville Cut Files. 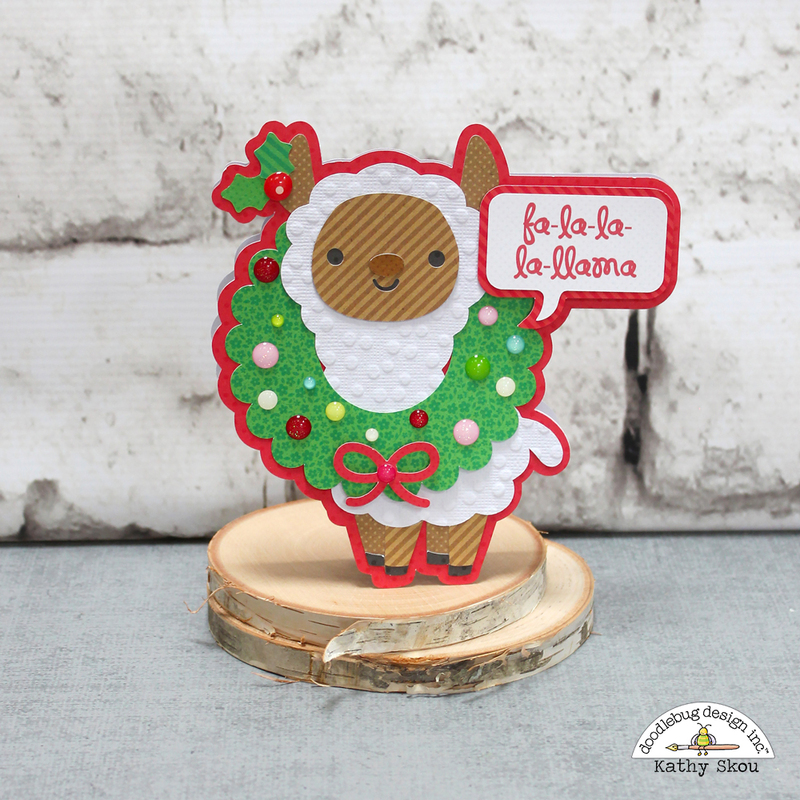 He's put together using more new Petite Prints and the wreath is decorated with some Glitter Sprinkles. I think he's just fabulous! We'd love to see your creations using the new So Much Pun Cut Files! Be sure to tag us on social media so we are sure to see your creations! That's it for me today, thanks for stopping by to peek! You can purchase the cut files in the Lori Whitlock Store and the Silhouette Store.